6 Number of threes made by Kyle Lowry, 6-9 from deep, 7-12 from the field for a total of 24 points. He even got a few MVP chants tonight. 7 Seventh straight missed game for Psycho T (ankle). 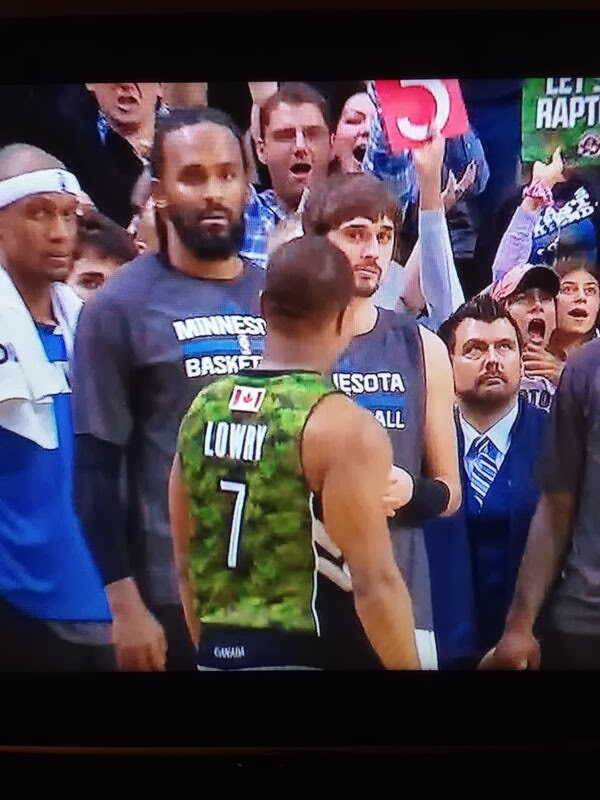 1 After nailing a big three to seal the game...one Kyle Lowry staredown.